Penn State folklorist Simon Bronner took us on a tour of some long-ago campus traditions—including some pretty rowdy ones—yesterday, during a lunchtime talk in Schlow Library as part of the Research Unplugged series. Bronner, who is Distinguished University Professor of American Studies at Penn State Harrisburg, has written some 30 books on history and folklore. His newest, released in September, is Campus Traditions: Folklore from the Old-Time College to the Modern Mega-University (University Press of Mississippi). 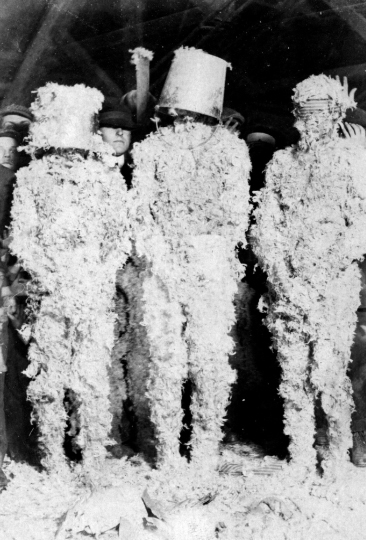 For his audience yesterday, he zeroed in on a particularly physical campus tradition from the 1800s and early 1900s: the scrap, or rush. (“Rush” in this case has nothing to do with fraternity or sorority rushes, he explained.) The event was held on lots of college campuses, not just Penn State. It typically pitted freshmen against sophomores—and it sounds like it was fueled by the energy and testosterone so abundant in 18- and 19-year-olds. Other schools had cane rushes, flag rushes, rope rushes, pants rushes, cider rushes, and more. Cornell had a mud rush; Penn, a flour rush. 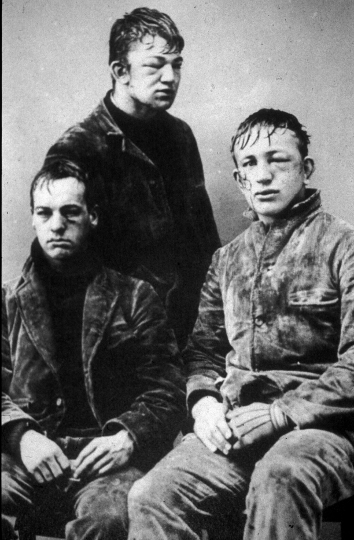 At Penn State, controversy simmered from 1912 to 1920 over whether to ban rushes and scraps. Women were beginning to enroll as students, undergrads were starting to get hurt, and professors complained that the events were a distraction. Interestingly, it was a professor—Fred Lewis Pattee, namesake of the library and the author of our Alma Mater—who stood up in favor of the shenanigans, saying they were an important part of college tradition. Of course, said Bronner, Pattee had gone to school in Europe, where the rite of passage for freshman and sophomores was rougher yet: a duel. 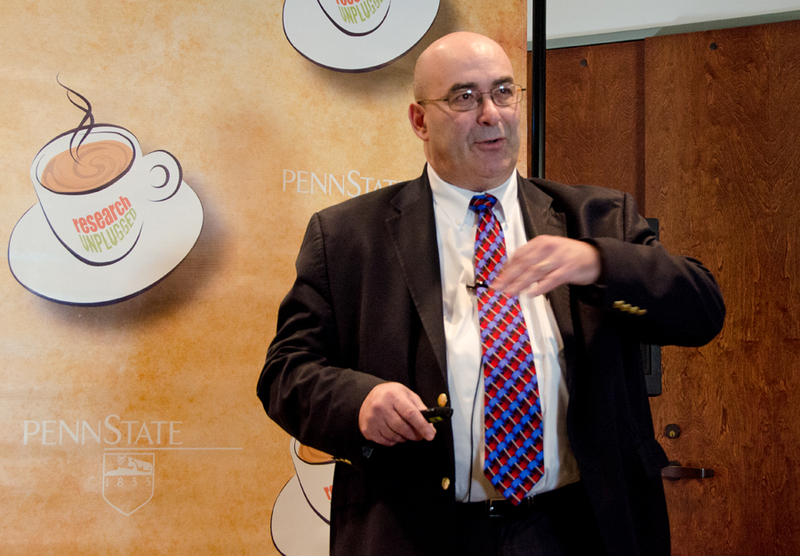 Penn State folklorist Simon Bronner. 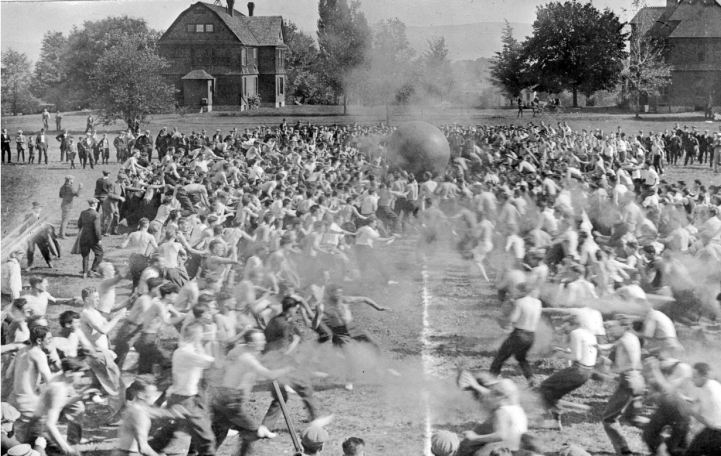 Eventually, many schools embraced pushball (shown at Penn State in the photo at the top of the page) as a safer, better-organized alternative to the mayhem. And from there, pushball evolved into football. Yale grad Walter Camp is credited with the biggest role in making that happen. Bronner sees scraps, rushes, and other physical contests between freshmen and sophomores as variants of kids’ games, like Red Rover and Capture the Flag. They were “an integral part of the transition to adulthood,” he says. There aren’t a lot of rites of passage for young people of that age, he says, and most of them are found on college campuses. —The U.S. Naval Academy still has the Herndon Climb, which dates at least to the 1950s and which Bronner described as full of sexual innuendo. —Juniata College’s “Storming of the Arch” started in the 1940s and continues today. —Georgetown College in Kentucky has a muddy event called the “Grubfest” every year. —UC Davis had the “Epic Quad Battle” from 2004-07; the main weapons were styrofoam noodles, but a student was hurt in 2007 when another student stuffed a PVC pipe inside one of the noodles. Entry filed under: Uncategorized. Tags: Epic Quad Battle, Herndon Climb, Juniata College, pushball, Simon Bronner, Storming of the Arch, Walter Camp.